Now where's our LEGO X-Men game? LEGO Lord of the Rings on Wii and 3DS is happening this year, and Warner Bros. has released the first trailer of the blocky epic. Like the earlier LEGO Batman 2: DC Super Heroes trailer, the characters in LEGO LotR speak, with dialogue taken straight from the films. Make up your own minds about that one. The game spans all three films and allows the usual local co-op on Wii, with handheld features yet to be fully announced. 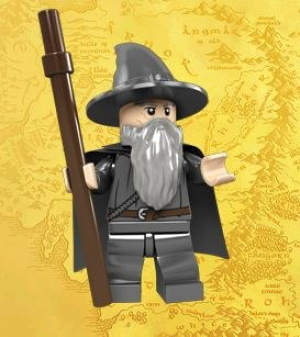 LEGO Lord of the Rings is coming to Wii, 3DS and DS this Fall. These guys have been busy lately. Not sure what else ca. Be legoafied. I am also glad they added voices in this Lego game too,this is a step in the right direction for the Lego franchise. This looks pretty good. I might get it. I'd rather see Lego Avengers than Lego X-men. I particularly like the idea of destroying a Lego city with Hulk, or blast holes in Lego enemies with Iron Man. Huge kudos to the LEGO Balrog! Just do Leyla marvel universe like DC is doing with Legion batman 2. Now if they make it for the Wii U.... I want my HD LoftR game! I still haven't tried any of the Lego games, as I think the concept seems quite lame, but if X-men, Spider-man or Hellboy ever get out I guess I would have to buy it. Not sure about this one though. So getting this, but so NOT on the Wii. We have Lego Star Wars complete on the Wii and Batman on the PS3 and I just can't take SD anymore. Doesn't help that SW is one of the worst looking Wii games, big blurry mess. When I first saw that Balrog I thought it was an AT-ST guest appearance. Guess there's only so much Lego can do. Yay! A video game based on a toy, based on a movie, based on a book. Still not to sure if I like voices in my Lego games still cant wait for this one to come out it will be a day one purchase. I hope this is good. I'm somewhat of a LotR nerd and Lego was my childhood. I would love if this turned out to be a solid hack and slash experience like Return of the King on GC. Im getting the DS and Wii one. 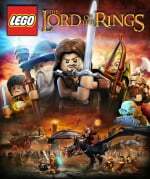 I love most of the other Lego games, but I love LotR so much, I need to play this everywhere I go. I'm so getting this. I love Lord of the Rings. They are my favorite books and movies. I'm currently re-reading the books after 12 years. Enormous fan of the films also. Big fan of the LEGO games too. The buy is increadibly instant. I mean look at that trailer! Finally, i skipped out on the Lego Harry Potter Games, I love LOTR so I can wait for this. Please just fix the jumping controls and I'll be all over this. This game looks epic. I just hope they follow the books instead of the movies. I hope they don't cut out any important parts, like Tom Bambadil. I just hope this game turns out good. Oh, so they speak now? That kinda ruins the charm, doesn't it? @pinta_vodki Well I couldn't actually imagine Lord of the Rings without voice acting. It really would be wierd playing as Frodo, Sam, Gandalf, Gimli, or Aragorn without them talking. @MetalGearZelda Have you played other Lego games? Like Indiana Jones, Star Wars, Harry Potter. They're all mute and this gives a hilarious effect. Not a fan of Lord of the Rings. I'm still waiting for Lego Back to the Future. Maybe they're saving it for an October 2015 release (complete with Kinect compatability to avoid playing a "baby's game" with your hands). @pinta_vodki I actually own Lego Star Wars 1 and 2 and I have to say that the muteness is pretty funny. However for LOTR i really don't see how it's going to work. This is because the plot moves through dialogue in both the books and movies. Without them talking, no one would actually understand what's happening. For example, no one would understand why Saruman betrays Gandalf in the beginning of the fellowship of the ring, or the actual power of the rings of power, if there was no voice acting. I don't own any LEGO games but the ones I tried were always pretty cool. I love LOTR, the books, the movies so I'm getting it on 3DS day one! They put dialog in these games now? Way to completely miss the point. All of the charm that could have been in the game is completely missing because of dialog. Thanks a ton, T_T. Dude your avatar is awesome! I love the LEGO Harry Potter games. And even though I wasn't a huge fan of the Lord of the Rings movies, I still look forward to this game. I actually like the fact that they're adding voices. It gives the LEGO franchise a much needed upgrade. Besides, I think the ominous voices coming from such cute characters adds to the charm rather than take away from it. Is this open world on 3DS?